Honey salak seeds out of stock !!! Giant Terap Sold Out !!! Orange red jackfruit seeds sold out !!! Pumpkin Orange Cempedak seeds Sold Out !!! 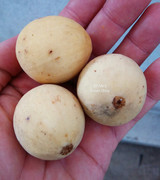 Rare pumpkin orange cempedak limited seeds added ... Hurry up !!! Tropical Fruit Buy, Sell & Trade / Re: God's Crown,Maroon,Dark Red Dabai,Bornean Hairy Banana Seeds for Sale !!! God's Crown seeds almost ended ! Durio kutejensis is out of stock ! Seedless Cempedak(CH35) in promotion mode! Rough Skin Tampoi Sold Out! Is the Honey Soursop any different from the normal Soursop? Helicopter fruits seeds out of stock !!! Hello. I will take 3 seeds please. Shipping done, will send tracking later, thank you !